Sure he had a run-in with the twitter, but no one in Ramseyland pays any attention to that stuff….or the impact of public policy on people for that matter. Nope, its all horse racing and cow milking contests for legislative coverage…and legislators these days…so Ron Ramsey can carry on to enjoy the spoils of his office…as the true head of state. 2014 Outlook – What could go wrong? Education “reform” – Reform is a tricky word. It literally means “to make changes”. You’ll note, there is no value statement in that definition. For years many have looked at Education Reform as a positive. Any change was seen as good. When “No Child Left Behind” was passed, it was good, until it wasn’t. The more recent batch of reforms, which include a doubling down on testing, more oversight of teachers, less pay for teachers, and teacher evaluations based on student performance on said testing, has been focused on…teachers. This doesn’t mean its been a good year for education. Just “reform”. The results of that “reform” will take years to calculate…though this years test scores were hailed as a victory. Of course, that doesn’t mean we’re adequately educating out kids…we’re just passing more tests now. “Friends of Bill” Haslam – Y’all got your taxes cut on investment income, and a whole bunch of you FOB’s (friends of Bill) got gubament contracts to boot! Way to go rich people! 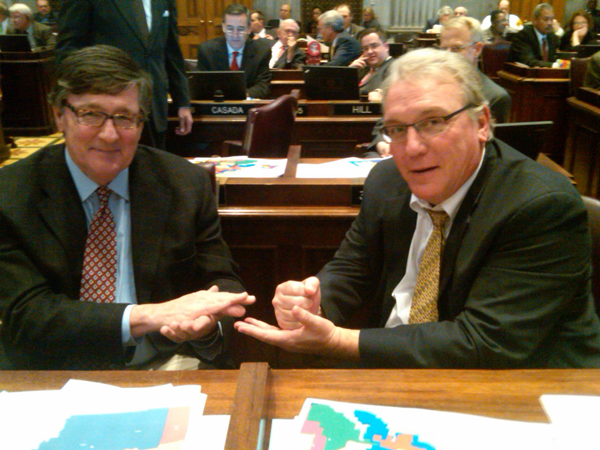 Honorable Mention: TN House Democratic Caucus – Its a long-shot, but I have to give a shout out to the only currently functioning state Democratic organization right now…the TN House Democratic Caucus. Sure, they’re not flashy…and they haven’t developed a stable cast of characters beyond leadership, but at least they’re doing something…which is more than I can say for their colleagues across the plaza. Usually timely, and pretty well on point, especially since the session ended. The House Caucus is still a work in progress. But they’re working, which is more than I can say for…oh never mind. Hospitals/sick people – One lost hundreds of millions of dollars in the decision to not expand Medicaid, the other lost the opportunity to not go into financial ruin just because they were sick. Both suffered. But who cares, right? At least the state is screwing over President Obama’s signature legislative achievement! That’s all that matters these days in Tennessee. The poor – Speaking of screwing people over, 80% of everyone in the US is on the brink of poverty. What does that have to do with Tennessee? We’re in the bottom 25% of all the states in the US, which means we’re more screwed than most everyone else. Yay us! Unemployed – It took all year, but preliminary numbers from the Dept. of Labor show that unemployment finally dropped to 8.1% down from 8.5%. Don’t get too excited. Future drops will only reflect those who no longer qualify for unemployment because their benefits weren’t extended by the Feds. State politicians will take this and try to sell you that things are getting better. They aren’t and things getting better for working people isn’t anywhere on their menu. Rural Communities – If there’s one thing that guaranteed the GOP’s victory in 2010, it was the support of rural communities. Which is why its puzzling that rural communities are getting screwed over so hard under GOP rule. I mean, screwing over Nashville and Memphis (and soon Chattanooga and Knoxville), that’s a no-brainer. But when most of your elected officials owe their position to rural folks, screwing them over as well is…well…ballsy to say the least. But that’s what’s happened. Unemployment is high, hospitals are closing their doors, and the only opportunity right now is the opportunity to move or continue to suffer. The worst part is, there are no signs folks in rural TN see the connection. They’re still buying in to it being Washington’s fault. Teachers – If any one group has gotten a raw deal in the past several years its teachers. At once blamed for “failing schools” and tasked with bringing up achievement, teachers have had their pay cut, lost the right to collectively bargain, and had more paperwork thrown at them…which takes time away from doing what they trained to do…which is teach. Honestly, I don’t understand why anyone would do this to themselves. Gov. 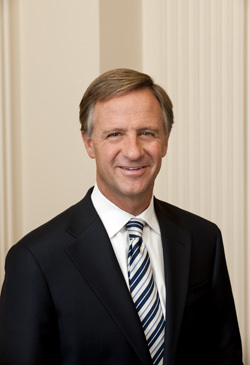 Bill Haslam – To say that 2013 was an unremarkable year for Bill Haslam is to say that the remarkable revelations about his administration were largely either ignored, or didn’t get the full hearing they deserved. From contracts to cronies, to the intense pressure to eschew his moderate image to both save himself the indignity of a primary, and avoid a standoff with Lt. Gov. Ron Ramsey and his band of merry men. And then there’s the PILOT investigation, which shined a light on the inner workings of a company he both benefits greatly from, and seeks to minimize in the public as just a little company his family owns. For all the stories in Tennessee this year, at least from a political perspective, Bill Haslam, his family, his friends, and his general impotence as a state leader… those were the stories…even if they didn’t get the full hearing they deserved. The saddest part is it looks as if Haslam will run unopposed from the Democratic party…unless someone steps in at the last second to be the sacrificial lamb, which means Tennessee will never hear a full accounting of these stories, and will have no alternative if they decide they don’t want the teflon coated co-governor at the front and center of state politics…at least in appearances. You’ll note, I haven’t even gotten into the depths of his relationship with the Lt. Gov., who pulls the real strings in the state. There’s just not enough time. But pay attention, and see if the two cross. I think you’ll find they won’t publicly. The Governor just doesn’t have the juice to take him, or any other legislative leader, on. 2014 Outlook – Shady, with a side of puppetry. Kerry Hayes liked this on Facebook. Chris Sanders liked this on Facebook. John Harvey liked this on Facebook.